I’ll probably craft a short story about these two. They’re fun to write. :-) And there isn’t a lot of Ent fiction out there… although I’ll have to call them something else because I believe the Tolkien property has rights to the name. 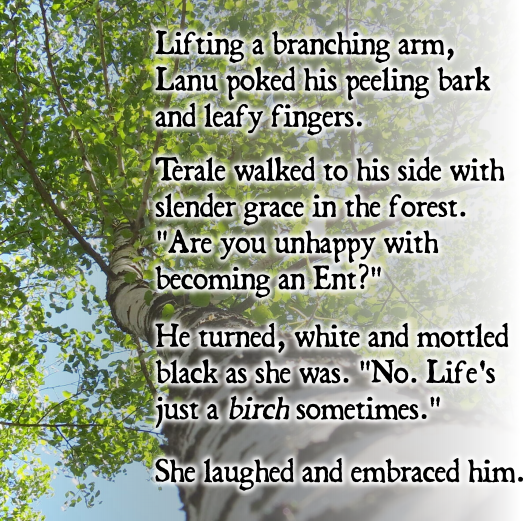 I’ve been toying with the idea of having Lanu and Terale living near the Easrune Wood from my story “The Old Man of the Elder Trees”.